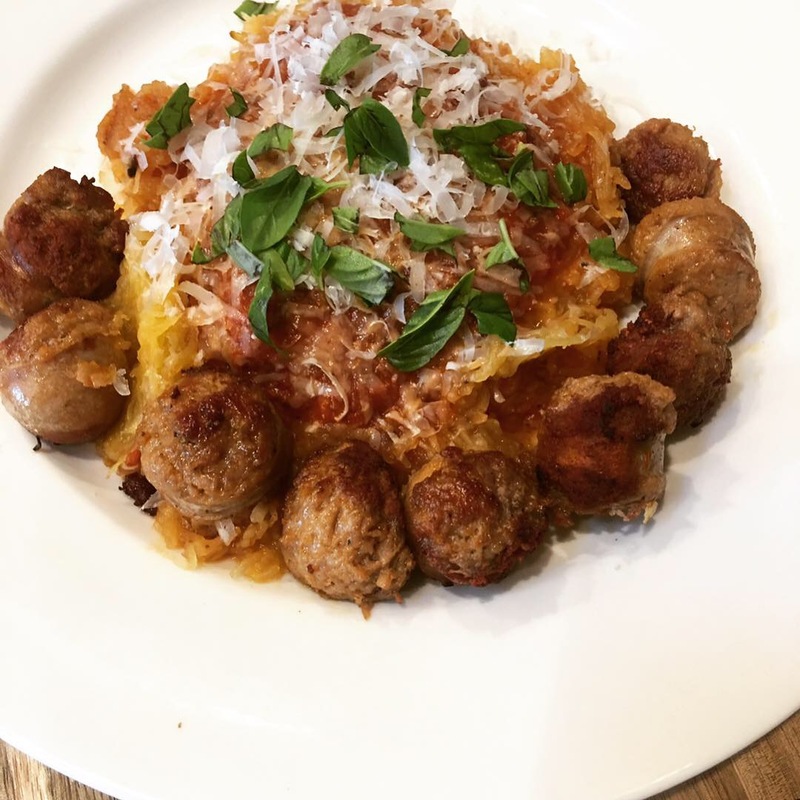 I have created this recipe earlier in the summer and it has been a major game changer for our pasta and pizza dishes. My Cowboss challenged me to eliminate sugar from our savory dishes. 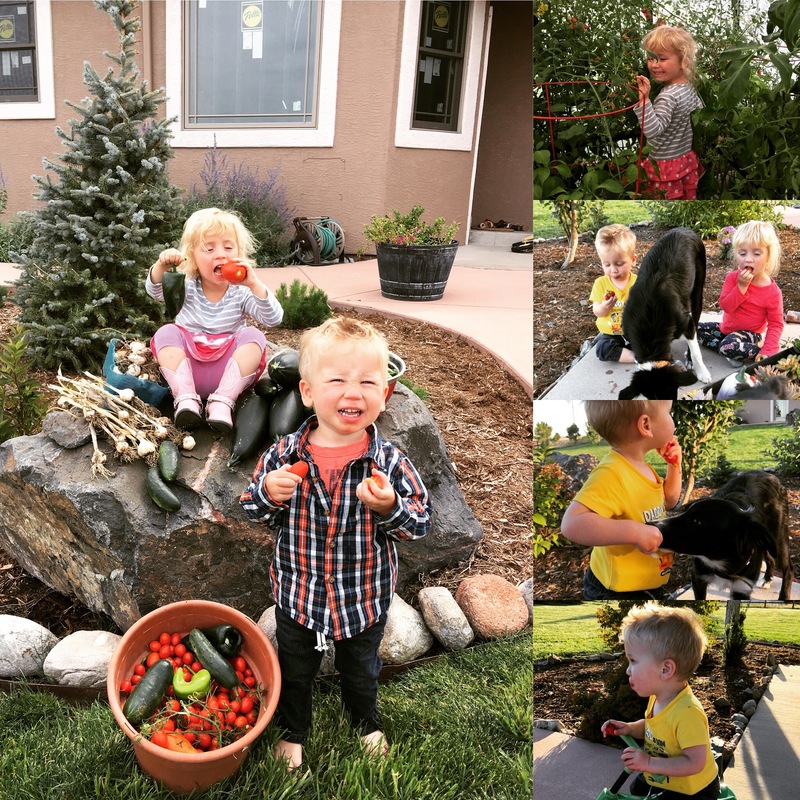 You would be surprised how sneaky sugar really is and how many recipes or marinates call for sugar that is really not necessary. When I first started to look into homemade marinara recipes, many of them included sugar to offset the acidity of the tomatoes, so I needed to find a substitute. After a few failed recipes, I have hit the jackpot with sautéed shredded carrots that gave the sauce the much needed sweetness. The best part of this marinara recipe.. it is done in 30 minutes. You don’t need to cook it for hours. The carrots give it the nice sweetness and the beef broth, which is an important ingredient, gives it the depth of flavor you need in a good pasta sauce. 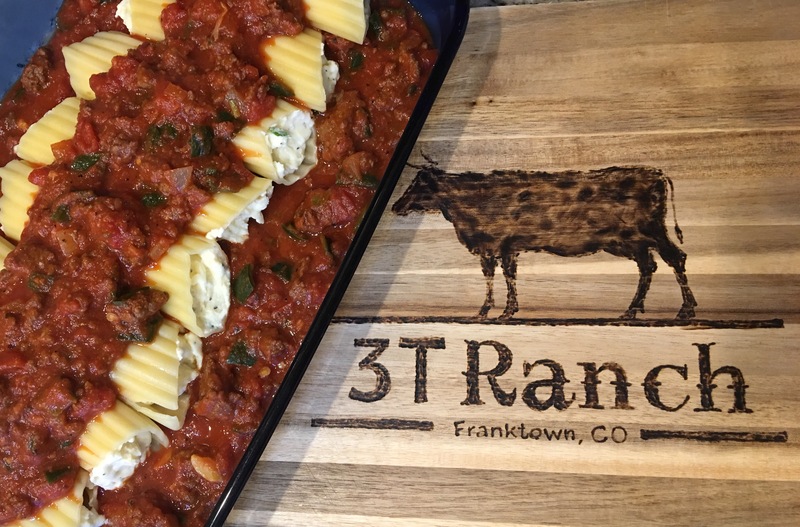 I have been making delicious “red sauce” dishes like spaghetti squash with southwestern beef sausage, cheese cannelloni with marinara sauce and ground beef and this sauce is hands down awesome on homemade pizzas. This recipe makes enough red sauce for two family dishes. It last for a week in the fridge. 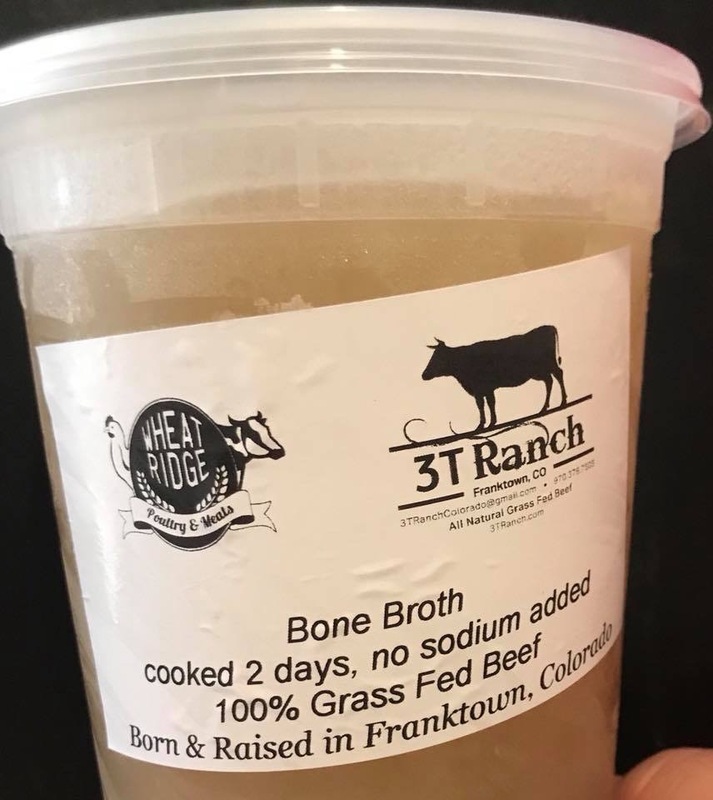 Over the summer, we have also teamed up with a great family owned business Wheat Ridge Poultry & Meats and they carry our 3T Ranch beef at their store. 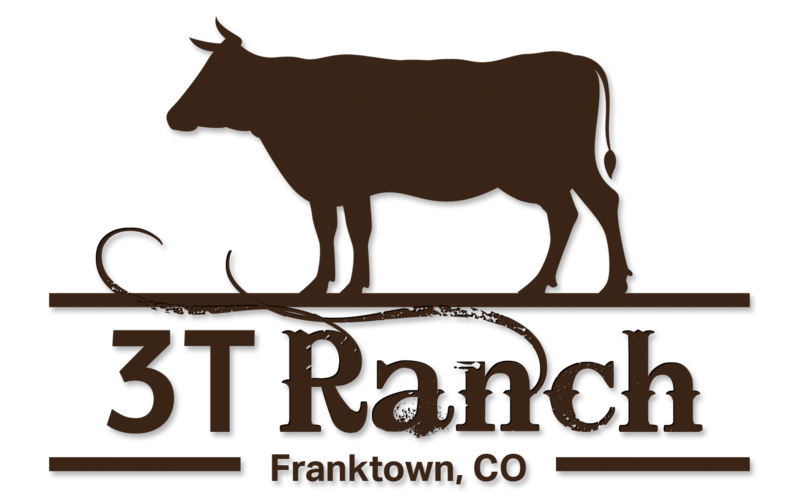 Rob and Jess are wonderful business partners and they have extended the line of 3T Ranch products that are now available to our customers. WRPM carries various cuts of 3T beef, but also make many varieties of beef sausages, jerky and beef broth. I hope you will try the recipe and love it as much as we do. In a large pot pour olive oil, saute onion and carrots until onions are translucent, add garlic and cook for a couple of minutes. Pour in crushed tomatoes and tomato paste. Make sure to stir to break up and incorporate the tomato paste. At this point I like to include all of my seasonings. Pour in 3 cups of beef broth. Cook it down for about 15 minutes. You can certainly leave the sauce chunky, but my family likes it smooth, so I pure the sauce with my immersion handheld blender. Add your basil or homemade pesto. (Tip – I store my homemade pesto in ice cube trays. It is the perfect portion and it stores well in the freezer). I typically end up pouring another cup of broth into my sauce unless I’m using it right away as a pizza sauce. Cook the sauce for another 5 – 10 minutes.